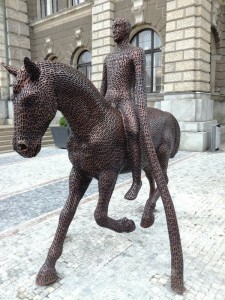 A new sculpture adorns Dr. E. Benes square in front of the Liberec City Hall! 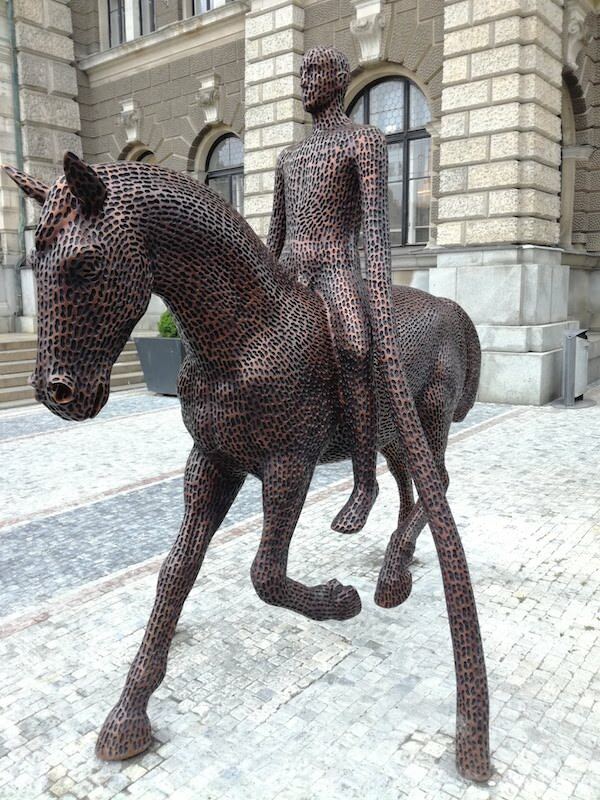 Bronze Rider from the Prague artist Michal Gabriel is made of bronze, is two and a half meters tall and weighs about 300 kilograms. The interesting thing is that the statue is completely new. Respectively it existed, but the original model, made from peanut shells, would not survive outside, and this bronze casting was created. Traditionally, the Rider should decorate the square about a year before replacing it with a new artwork.